The Symposium for AI on Conservation highlighted milestone achievements in the application of artificial intelligence to environmental protection and conservation efforts. Conservation AI, which involves the deployment of artificial intelligence technologies to further environmental causes, is a burgeoning interdisciplinary field with many exciting developments underway — from chimpanzee face identification technology to cryptic cameras, acoustic sensors, satellite imagery and more. On Feb. 8, the USC Center for Artificial Intelligence in Society (CAIS) hosted the Symposium on AI for Conservation, a gathering sponsored by the Microsoft AI for Earth initiative with the aim of pinpointing potential applications of artificial intelligence in the monitoring and conservation of Earth’s most precious natural resources. “USC CAIS has been a leader in AI research for wildlife protection and conservation, but such research requires interdisciplinary partnership with NGOs and dedicated rangers around the world. 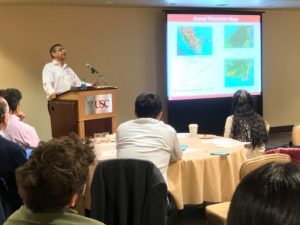 This symposium provided opportunities for exactly such an interdisciplinary dialogue as we explore new research frontiers in AI for conservation and social good,” USC CAIS Co-Director Milind Tambe said. 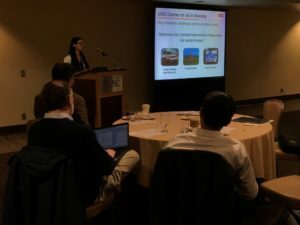 Organized by Bistra Dilkina, associate director of USC CAIS and assistant professor of computer science at the USC Viterbi School of Engineering, the symposium facilitated meaningful dialogue and sought to generate new partnerships among researchers, corporations and practitioners across industries. Among the attendees were representatives from the technology sector including Microsoft, Google, Intel and ESRI, while the philanthropic sector was represented by WWF, the Leonardo DiCaprio Foundation, Vulcan and others. 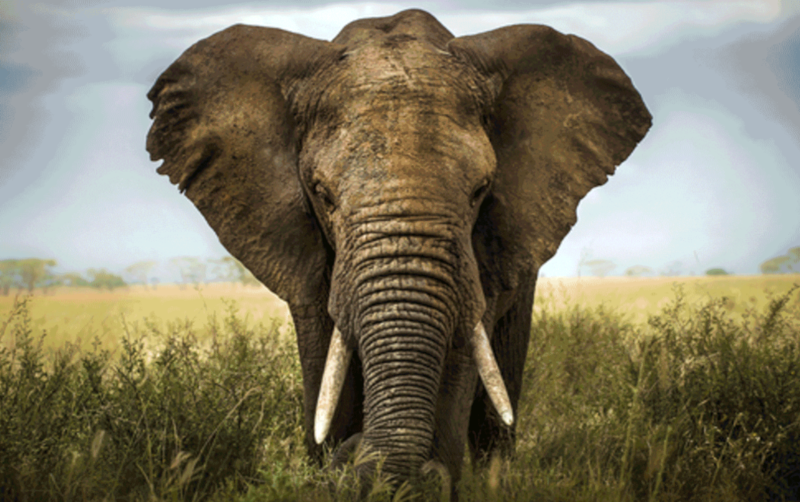 “It’s super encouraging to see interest in developing AI-based systems for conservation from a wide range of organizations, from major tech companies to startups to NGOs. These are the players who will actually help the research realize its purpose,” Georgia Tech computer science PhD student Amrita Gupta said. 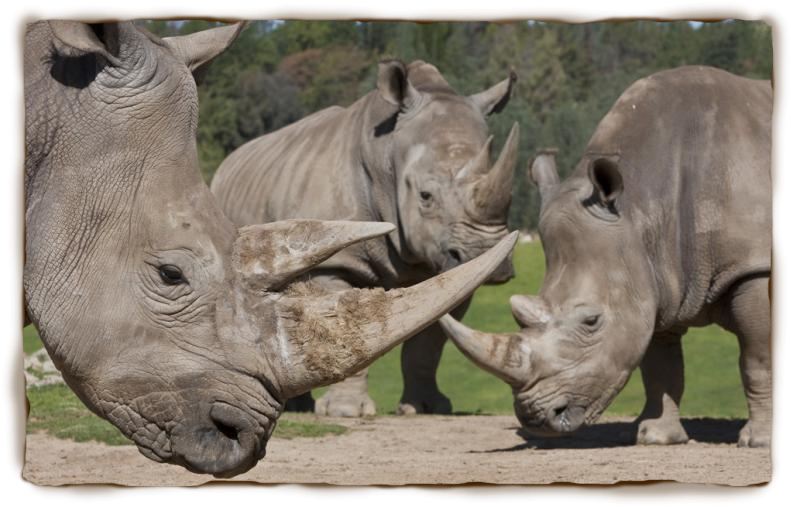 Due to a shortage of resources and limited manpower, policymakers and conservancy organizations have struggled to tackle pressing environmental problems that threaten entire species and vast geographic regions. Conservation AI posits that computational models in the sustainability sector can help to effectively allocate limited resources in order to satisfy the most pressing environmental demands. For example, researchers at USC CAIS launched Protection Assistant for Wildlife Security (PAWS), a tool that harnesses game theory-based predictive behavior modeling to anticipate potential poaching locations and recommend smarter patrolling strategy. “PAWS is a great example of what AI tools require in order to provide meaningful counsel to conservation groups,” Dilkina said. “It has a predictive element—the ability to forecast poacher behavior—as well as a prescriptive element that recommends courses of action for patrol officers.” This marriage of predictive and prescriptive capabilities arms organizations with critical information needed to allocate limited resources effectively. The Symposium on AI for Conservation involved lightning talks with research and nonprofit teams as well as moderated brainstorming breakout sessions. The centerpiece of the symposium was a lively panel discussion featuring an impressive slate of keynote speakers covering topics from computer vision to climate change. Among the keynote speakers was Thomas Dietterich of Oregon State University, who leverages AI in the development of automated hydro-meteorological weather station systems across Africa. These systems work in tandem with predictive modeling to inform agricultural and ecological decision-making. Additionally, Vipin Kumar of the University of Minnesota delivered a presentation on how data mining and high-performance computing can be used in climate and ecosystem research—in particular, to identify changes in waterflow to predict natural disasters. Finally, keynote speaker Tanya Berger-Wolf spoke about her experience as head of the Computational Population Biology Lab at the University of Illinois. A computational ecologist whose research explores the intersection of computer science, wildlife biology and social sciences, Berger-Wolf is also a co-founder of AI for conservation project Wildbook.org. 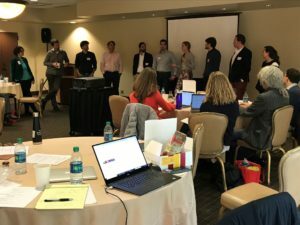 “I felt that the combination of technical presentations with presentations by conservation stakeholders and practitioners was very inspiring and informational, because the goals were presented alongside potential solutions,” USC computer science PhD student Elizabeth Bondi said. By creating space to highlight milestone achievements in conservation AI and facilitate open dialogue among experts and community members, the symposium provided valuable opportunities for solutions-focused brainstorming and meaningful cross-industry networking. “My key takeaway from the symposium was that data is a common language between the diverse set of attendees (professors, grad students, non-profits, for-profits and funding agencies), but everyone speaks very distinct dialects,” Georgia Tech PhD computer science student Caleb Robinson said. Become a USC CAIS partner through community projects, funding, volunteering, or research collaboration.